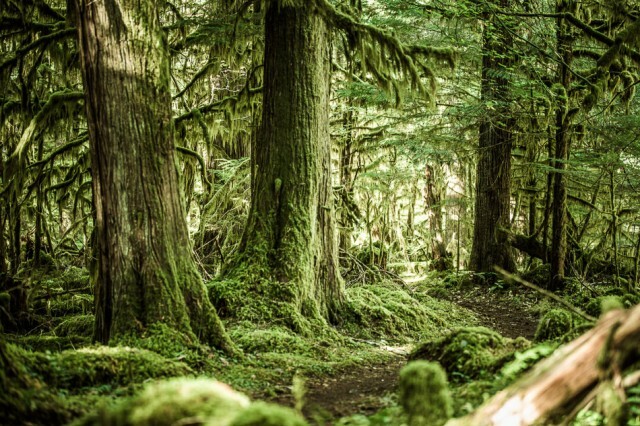 Mountain biking has been banned in all Wilderness Areas since 1984, when the Forest Service revised its regulations governing how they enforce the Wilderness Act. That's nearly 110 million acres of federal land on which we're persona non grata. 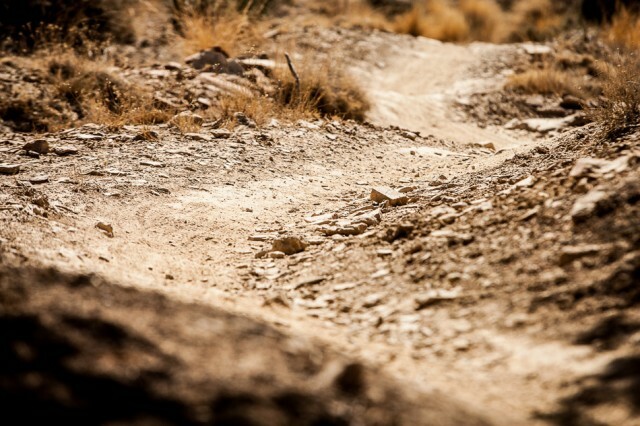 There's currently a debate brewing in the mountain bike community about how to deal with the Wilderness ban–particularly in light of recent mass closures of trails in states such as Idaho and Montana. One side, represented most notably by the International Mountain Bicycling Association (IMBA), contends that the best course of action lies not in opposing the ban, but in partnering with other outdoor organizations to create boundary adjustments to proposed Wilderness areas and/or alternative preservation designations (such as National Recreation Areas). The idea here is to salvage as much trail access as possible while maintaining and improving relationships with land managers and other outdoor interest groups. Until recently there really weren't other organizations promoting "the other side.” Not, at least, until the Sustainable Trails Coalition (STC) came along in 2015. The STC is seeking a legislative sponsor for a federal bill that would bring Wilderness management (in regards to mountain biking) back to its pre-1984 state; this would allow individual land managers to determine, on a case-by-case basis, whether mountain biking could be permitted on particular Wilderness tracts. The bill would also open sections of the Pacific Crest Trail to mountain biking. We've posted several articles about the Wilderness issue here on bikemag.com and in our print magazine. Invariably, readers want to hear more from both IMBA and STC. This series is aimed at providing both groups a platform for presenting their point of view. Our goal is to get down to brass tacks while also having a civil conversation about a very thorny and complicated issue. Last week, we published an in-depth interview with John Bliss, the former President of IMBA's Board of Directors who recently announced that he had joined STC. Today, we're talking with STC President, Ted Stroll. Within less than a year's time, STC has raised more than $100,000 and hired a lobbying firm in Washington D.C. The organization is currently seeking a sponsor for their draft legislation, the Human-Powered Wildlands Travel Management Act of 2016. What's the status on this potential piece of legislation? What is STC trying to achieve here and what does its leadership have to say about some of the divisive back and forth that's sprung up on the web of late between people who support STC and those who support IMBA? I put these and other questions to STC's President, Ted Stroll. On a side note, when we began this series, IMBA was in the midst of discussions connected to this issue and was unable to comment. We hope that IMBA will become available for an interview in the near future. Vernon Felton: So where do things stand with the piece of legislation that you are trying to get introduced in Congress? Ted Stroll: We don't have a sponsor at this time, but things are looking very good in both the House and the Senate–and with both the Republicans and the Democrats. I can't give any greater detail than that at this point. VF: You have both Democrats and Republicans considering your proposed bill? TS: Not just considering it, but actively interested in it. Two to three months ago people were considering it–we've moved on from there. Now we have potential members of congress actively looking at it as something to introduce. VF: So, you think it's conceivable that this legislation will be introduced this term? TS: Our consultants in Washington tell us that we can't make any promises, but I'm optimistic that we will see a bill introduced in the next few months. VF: Every time we post a story about IMBA and STC, you see people in the comments section picking sides–either saying IMBA is clueless or, on the other side, arguing that STC is hopelessly naïve. Is there room–and I'm asking you this as the head of the STC–for both IMBA and STC? TS: Absolutely. Both IMBA and STC are essential. I don't know if IMBA will ever embrace what STC is doing, but IMBA is doing a lot of good and if people continue to contribute to IMBA, it'll do a lot of good for mountain bike advocacy. Here's my hope–my hope is that people contribute and support both organizations. VF: There were people who saw Ashley's post on MTBR and your response to it and were left thinking, "Well, crap. Now we have division within the mountain bike community. This is why we shouldn't dilute our cause with more organizations that'll just in-fight." Implying, in essence, that STC should never have reared its head and that by doing so, has divided our community on itself. How do you respond to that sentiment? TS: Look, somebody better do something to stem the avalanche of trail loss that is taking place. Bottom line, we–STC–need to be doing this and while we regret any divisiveness in our community, we're not contributing to it and we hope it will go away. Keep in mind that not only are we banned from all Wilderness areas due to a 1984 decision by the Forest Service–we're also banned from the entire Pacific Crest Trail, a significant percentage of which is not in Wilderness, thanks to a typewritten order by three Forest Service employees in 1988 that no one has ever been able to successfully challenge. And at the same time, you have in Montana and Idaho, hundreds of miles of trail being closed to mountain biking–lost to faux Wilderness areas–such as what Region 1 considers Recommended Wilderness…. Something needs to be done. VF: How do you respond to Ashley Korenblat's assertion that we mountain bikers do not have a right to ride any trail we want to–including those in Wilderness areas–and that advocating for access in Wilderness areas is therefore, essentially, a waste of time and money. Ashley notes–and I'm just focusing on a small part of her question here– "The current STC draft legislation would not be fighting for a 'right' but rather attempting to amend both the Wilderness Act and the National Environmental Policy Act–for the benefit of a small special interest group." What's your response to Ashley Korenblat's assertion? TS: Well, it's a complete non sequitur. That's like saying that just because you don't have a right to drive a car, you shouldn't be able to advocate for driving a car. That doesn't make sense. Ashley's correct in saying that riding a bike, hiking, riding a horse or canoeing on public land is subject to federal, state and local regulations–we're not disputing that for a minute. What we are doing, on the other hand, is exactly what the American political system calls for–we are petitioning Congress for a redress of grievances. The First Amendment allows citizens to "petition the Government for a redress of grievances." More precisely, it forbids Congress from passing a law abridging this right. That's all we're doing. So, unless Ashley disagrees with the U.S. Constitution, I find it hard to follow her reasoning. We are not claiming that we have any right to ride anywhere we want. We are simply calling on Congress to determine the merits of our case and decide if we should be allowed to a have a limited degree of access to trails in Wilderness areas and on the Pacific Crest Trail, in particular. VF: How do you respond to the assertion that letting mountain bikes into some Wilderness areas is going to open the floodgates to all sorts of activities that don't fit with the Wilderness ethic? TS: The traditional environmental organizations–like the Sierra Club, the Wilderness Society and other like-minded groups–are doing enormous harm to the future of conservation because they work relentlessly to disconnect Americans from traveling on public lands under their own power. We see this right now–not on a federal level, but in Adirondack State Park in New York State. Adirondack Park management are proposing to let mountain bikes ride in what are called primitive areas in the park and sure enough, as soon as they did that, the Sierra Club in New York filed a lawsuit claiming that letting bikes in would violate several statutes. There are groups like that working tirelessly to wall America's public lands off from everybody who doesn't fit into this narrow definition of the favored few–people who they feel travel the backcountry in a suitably reverential way. What they are doing, I'm sure, is coming from a place of good intentions, but what they are actually doing is ensuring that 30 years from now, the constituency for preserving places like Adirondack Park is going to be very small. VF: We're already there, aren't we? How many mountain bikers are happy whenever a Wilderness proposal goes down in flames? Unfortunately, a lot of us riders are. That's a shame and yet it makes all the sense in the world–mountain bikers have been put in a position in which every new Wilderness gained is a wild place lost to them–and not because mountain biking is incompatible with the environmental preservation goals of the Wilderness Act, but simply because mountain biking doesn't seem, as you put it, a reverential enough activity for some hikers and equestrians. TS: I think the traditional environmental organizations do not understand that they are headed down the wrong path–they are unintentionally disconnecting Americans from wild places. STC is working to reconnect Americans to wild places–and it's more than mountain bike trail access. The second element of our legislation would make Wilderness better for everyone because it would reaffirm that federal agencies can use modest, small-scale tools to maintain trails in Wilderness areas. Right now, land managers can't even use a wheelbarrow while working on a trail. Want to clear trails after a major storm? You can't use a chainsaw to help clear deadfall from the trail. The current regulations make it difficult to keep trails in good condition–we're talking about more erosion and a depreciated experience for everyone–including hikers and equestrians. From my own experience, having walked and backpacked in Wilderness areas, some of the trails are in very bad shape–at least partly because Wilderness management policies make trail maintenance more difficult than it should be. I think it's going to take a generation to undo the damage to trails done by the current policies. TS: I just want to make sure people understand this: IMBA is not the enemy. If people want to criticize IMBA for its stance on Wilderness, that's understandable, but we definitely don't see any profit in wrangling with IMBA either publicly or privately. This whole thing about division between STC and IMBA is a distraction that we're doing our best not to get mired in. We're focused on getting our legislation into Congress and getting it passed–that's all we care about. To be honest, we will have our hands full when the bill gets introduced and the real opponents show up. It will be very powerful groups like the Sierra Club and Wilderness Society who show up. That is when we will have a battle on our hands. There's no point in us engaging in a battle now with a group of fellow mountain bikers who do a lot of good in their own right.